Last Minute Knitted Gifts and Joelle’s forthcoming Last Minute Patchwork and Quilted Gifts) captured the pretty details of Joelle’s apartment, including the quilt on her bed, above. 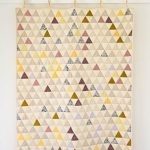 Blueprint offers the free pattern for Joelle’s quilt on their website! Joelle called on her friends at Piano Nobile and Brooklyn Design and Fabrication, the team that built Purl Patchwork, to turn their attention to her home office and craft room. 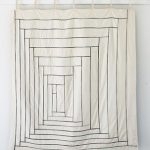 This well-used studio holds a wealth of yarn, fabric, and projects-in-progress, including her Triangle Quilt, pictured above. You can read all about it in the article, so check it out! Also, don’t miss Blueprint’s brand new blog, Bluelines. 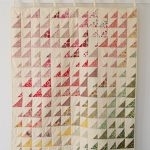 Their every-changing banner features fat quarters from Purl Patchwork! 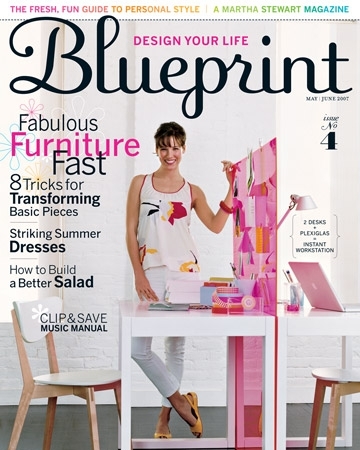 14 Responses to Purl in Blueprint Magazine! I love that quilt! It is fabulous. thanks for the link to the pattern. I am considering doing something like this for a quilt back. Yay! Read the article this week already. Gorgeous quilt. Congratulations! Congrats! I can’t wait to read the article. 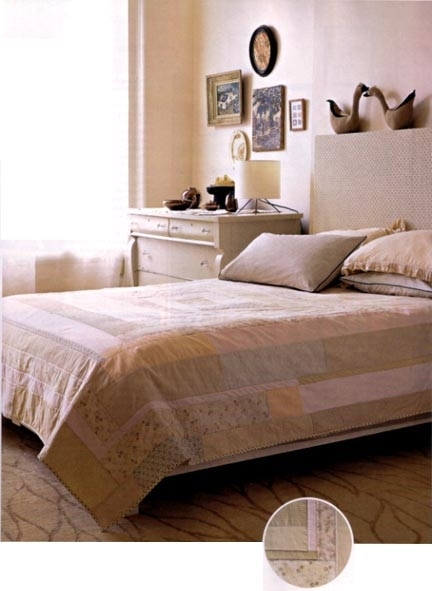 Is there a photo of the quilt viewed from above so that we can visualize how the quilt is supposed to come together? I was so thrilled to see this article when I opened up the magazine. This was the best issue they’ve had yet, in my opinion. 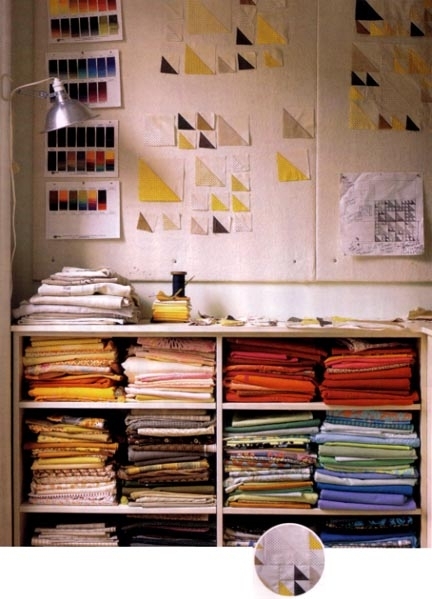 I was wondering about the Bento Box quilt that’s pictured, draped over a chair, in the article. I can’t see it very well in the photo, and I’m curious about what fabrics were used in this one. Are they solids? Can I even begin to tell you how much I loved this piece on Joelle’s home?! My Blueprint arrived last week and I think I have peeked in on this spread and all of its beautiful inspiration almost every day since. Truly a lovingly made handmade space. I LOVED this article in Blueprint. Joelle, thank you so much for inviting us into your lovely home. It was such a treat! I am sure it will be a wonderful home for you and your new daughter. Thank you so much for introducing what appears to be a great find! I hadn’t heard of the magazine but now might just have to pick up a copy. congratulations!! soooo exciting…cant wait for it..
FUN! Thanks for telling us! I LOVE you guys! just picked up my copy today and i can’t wait to check it out! I picked up the issue at Costco yesterday and received my order of fabric from you on the same day! Hooray! I sat and looked for a long time at all your beautiful pieces by Tamar Mogendorff. So lovely! Bought mine last week — great article!